Marriage vows are said for a reason. Early on, perhaps too early on for my liking, we learned that it’s very easy to be married when you’re healthy and wealthy, but that pesky “poor and sickness” part of the vow really puts things to the test. Our twenty year marriage has been incredibly blessed, despite facing various vow-invoked challenges. When we first moved to this house, early in 1994, I did not like that we had the corner lot. Even though our property is a hair over one acre, I felt exposed to the road and longed for more privacy. 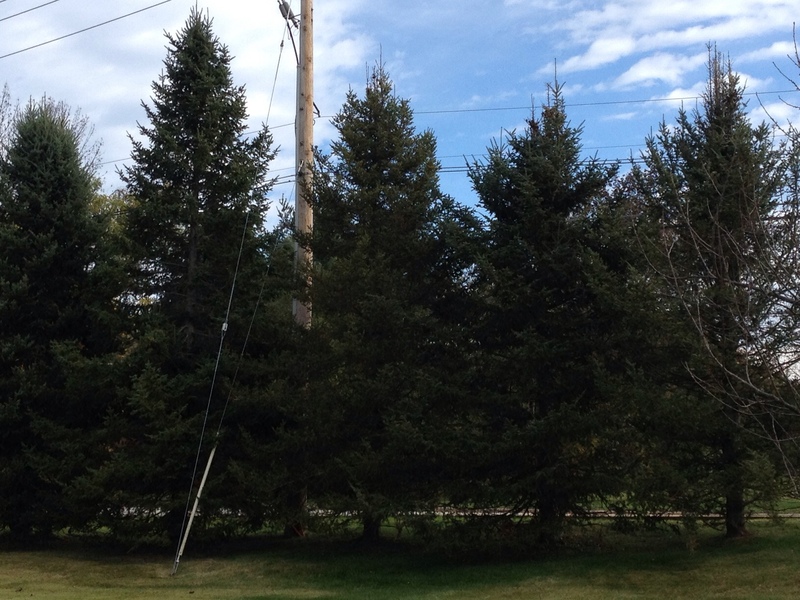 That spring, we went to the nursery and bought ten evergreen trees, Canaan firs. They were about six foot each at the time, manageable enough for Ed to plant by himself, but still an awful lot of work. Once the trees were in, they created a six foot tall natural fence, and it felt like a great improvement. I was satisfied, but I still wanted more. I would often look at the trees and wish they were taller. Twenty feet would be perfect, or thirty feet would be even better. But wait, I thought. When the trees are that tall, we will be much older than today. Taller trees = more privacy but less years together left on earth. Just one more example of me wanting to have my cake and eat it, too. Today the trees are very tall. And like the trees planted in 1994, we are mostly strong and hearty. Remnants of twelve hurricanes and tropical storms — some mighty, some just a nuisance — have blown past those trees, and most of them are still standing. Not all, mind you, since life is never perfect. A couple died, and a couple are looking a little rough these days. Separately, they are not much to look at. But standing together, they create a beautiful, full green fence that blocks much of the road year-round. Together they are a force to be reckoned with. 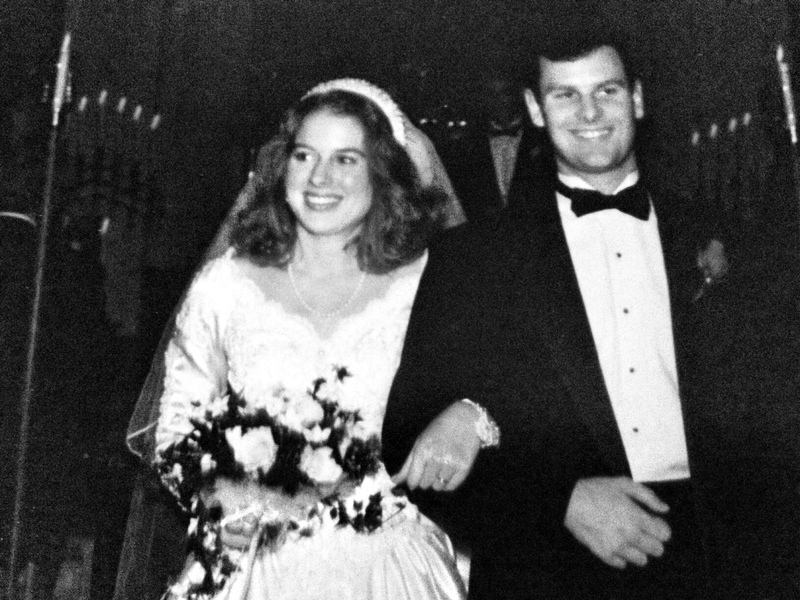 Almost twenty years and many more pounds ago, I walked down the aisle of Paoli Presbyterian Church and took my wedding vows. I still remember that one of my college friends, the kind of person who was skilled at passive-aggressive compliments, told me I looked “victorious.” Not beautiful, not glowing, not joyous, but victorious. Well, if victorious means I won something, then guilty as charged, sister. Yes, indeedy, you bet I won. I hit the jackpot and I’m smart enough to remember that every single day. Every birthday, every anniversary, every make-a-wish type occasion, I only ever hope for one thing: more years together. As long as I have that, I will have everything I need. This entry was posted in Life and tagged marriage, twenty year anniversary, wedding vows by Mom Mom's Apron. Bookmark the permalink. Very sweet dear Dawn. Many more happy anniversaries. it seems like only yesterday. Thanks for sharing this post – Happy Anniversary!